I found this article interesting, but it sounded to me like it might be a bit biased. Do any of you know what really went on here? I share it because it hints at how little we really know about what really goes on behind the scenes if we aren't personally involved. PG&E crews work Tuesday on Vintage Circle in the heart of Santa Rosa's Fountaingrove neighborhood, which suffered heavy damage in the Tubbs Fire. The fires that laid waste to California's Wine Country and at least 42 lives were not merely the product of a changing climate and extra-heated winds. Reports from fire responders, residents and PG&E itself also point to the flames spreading so quickly because of overgrown trees too close to the utility's power lines. The Butte Fire in 2015, which destroyed more than 500 homes and killed two people in Calaveras County, was caused by PG&E's failure to cut back a pine tree that hit a power line and sparked the fire. PG&E's negligence to identify the weakened trees led to bipartisan legislationin 2016, passed unanimously by both houses of the Legislature, to reduce the risks of wildfire from overhead utility lines by clearing out dead trees. The bill required the Public Utilities Commission to identify and map high-risk wildfire hotspots due to overhead utility lines, taking into consideration local governments' concerns, so that utilities would have to step up their mitigation efforts in those areas. PG&E itself put the blame on "hurricane-strength winds" and "millions of trees weakened by years of drought," contributing "to some trees, branches and debris impacting our electric lines." In fact, winds were only half the level of hurricane force, peaking at 30 miles per hour when the Tubbs Fire started, according to the Bay Area News Group, but overgrown trees as fuel for the fire were all too real. Attorney Frank Pitre, who sued PG&E over the Butte Fire, said it's "the utility's very responsibility to identify a weakened tree and remove it before it strikes a power line." PG&E has long been the darling of the Brown administration, supplying his top aide, Nancy McFadden, from its executive ranks, as well as his former Cabinet secretary. It's little wonder the unanimous fire cleanup bill was vetoed when McFadden, Brown's top legislative adviser, was a former senior vice president at PG&E who left the company with a $1 million payout. PG&E's former lobbyist was caught in a pay-to-play scheme with former PUC President Michael Peevey, but Brown did all he could to support Peevey and keep the pro-utility commission pro-utility. "He gets things done," Brown said of Peevey, after the scandal broke, calling him "a very effective leader." We often think of public corruption as an academic, antiseptic issue. In this case, it has real-world consequences. Brown's refusal to get tough on PG&E and other utilities has led to repeated safety issues that endanger lives. Consider the San Bruno explosion in 2010 that claimed eight lives and leveled neighborhoods. 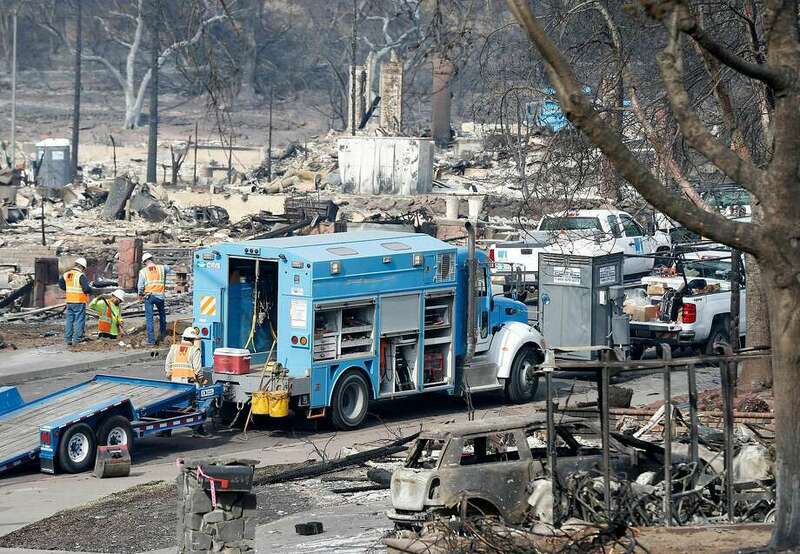 PG&E neglected gas pipelines and kept shoddy maintenance records. It even took ratepayer money intended for gas pipeline repairs and used it for executive bonuses and shareholder dividends. Emails showed PG&E's lobbyist worked surreptitiously with PUC commissioners to pick its own PUC judge to hear the case. It took a federal conviction this year to reveal PG&E was a criminal. City officials in San Bruno still wonder why no one at the company was ever punished. Under PUC President Michael Picker, a top former aide of Brown's, the commission continues to stonewall the release of documents related to the blast. That's a lesson the next governor should learn as prerequisite for the job. Jamie Court is the president of the nonprofit nonpartisan group Consumer Watchdog. To comment, submit your letter to the editor at SFChronicle.com/letters.